Universitas Muhammadiyah Yogyakarta (UMY) and Singapore Polytechnic (SP) has been establishing a fruitful collaboration for many years. 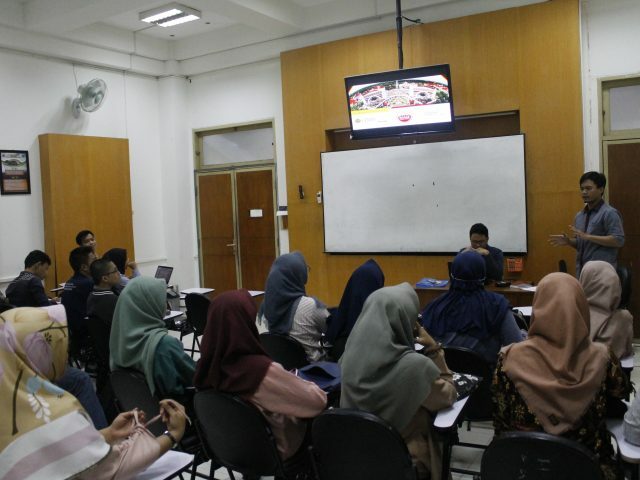 By conducting Learning Express (LEX) or most known as KKN Internasional under the umbrella of the cooperation, it was already provided many opportunities for the students of both institutions to experiencing new learning atmosphere from either culture of Indonesia or Singapore. On Friday, August 10, 2018, at room D.010, D Building, Universitas Muhammadiyah Yogyakarta, LEX committee conducts an orientation for UMY delegates who are going to represent UMY in Learning Express 2018 that will conduct in Singapore from September 2nd to 22nd, 2018. The agenda was started by a presentation by the Alumnae of LEX Program 2015 and 2016, M. Hazyar Arumbinang, S.H and Eko Sumanjaya S.IP., and ended by the presentation by Yordan Gunawan S.H., with leadership as the theme. In the end, the delegates were convinced to be confident, active, and never forget what they are representing for during the program.